Shows » What in the World Is a Hoopoe? The soft, modest hoots of the Hoopoe signal a bird so distinctive and fabled that it’s hard to know where to begin this story. 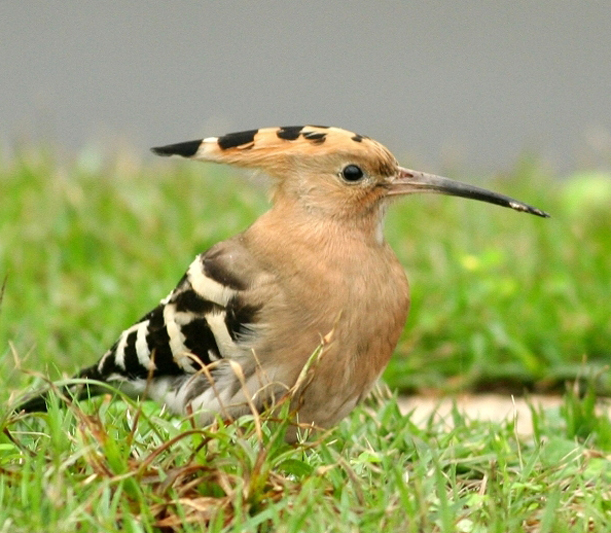 Hoopoes are the only existing members of a unique family of birds: Upupidae. They fly on rounded, zebra-striped wings, fluttering unevenly like a giant butterfly. The Hoopoe figures in mythologies of Arabic, Greek, Persian, Egyptian, and other cultures. In Jewish tradition, a Hoopoe led King Solomon to meet the Queen of Sheba, which may help explain why in 2008, the Hoopoe won a popular vote to become the national bird of Israel. Its scientific title, too, comes from those mellow hoots: Upupa epops. Hoopoes are also the only extant members of a unique family of birds: Upupidae [pr: oo-POO-puh-dee] And it's a crazy looking bird: jay-sized, with a long bill like a sandpiper’s. 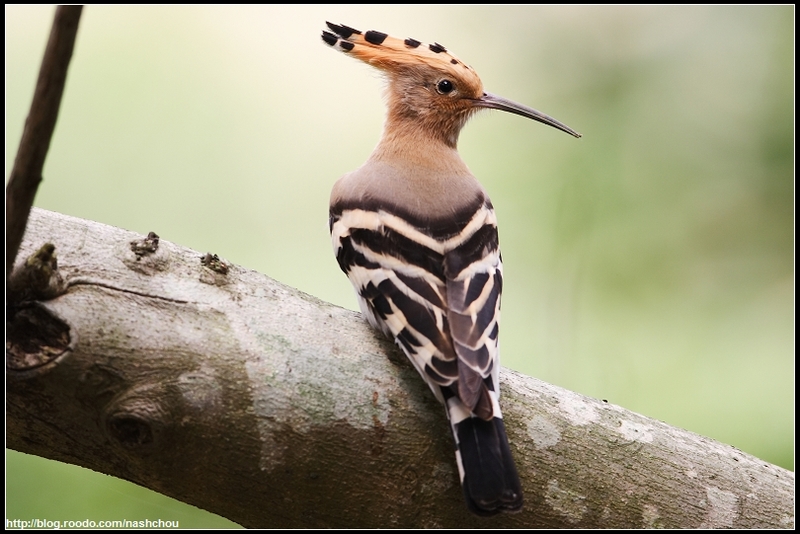 The Hoopoe's head and breast are buffy pink, with a crest it can raise like an Indian headdress. It flies on rounded, boldly zebra-striped wings, fluttering unevenly like a giant butterfly. For BirdNote. I’m Michael Stein. Bird sounds provided by The Macaulay Library at the Cornell Lab of Ornithology, Ithaca, New York. Recorded by M. North.